Marisa Murrow is an artist from Los Angeles. 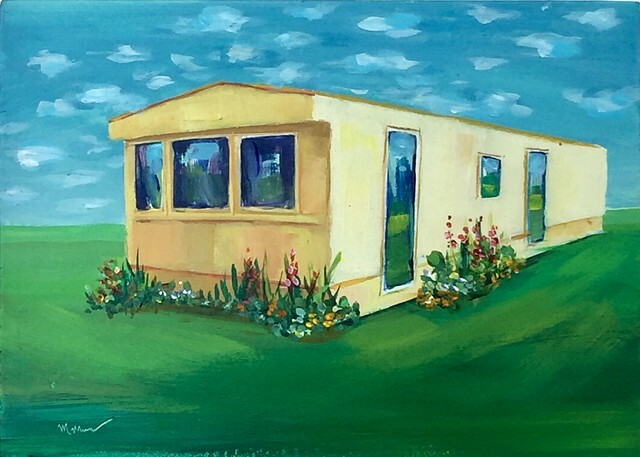 She paints the visual information she discovers onsite to produce her iconic portraits of Mobile Home parks and floral abstractions. Inspired by the California landscape and the densely wooded forests of the East Coast, Murrow thrives off the complexity of these spaces. She gets into the zone by staying curious about the environments she depicts. Speaking with the people who live in the community, Smelling the flowers she collects, listening to the birds sing as she mixes paint, feeling the warmth of the sun; this magical sensation of life is released through her art. Welcome and Enjoy!